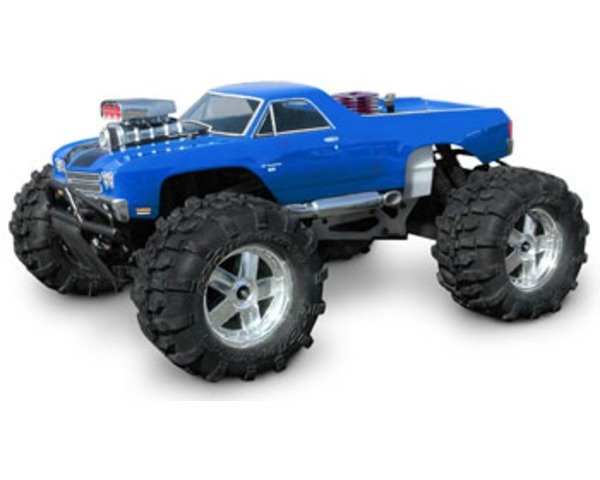 This is the 1/8 scale HPI El Camino SS Body for the Savage Truck series. El Camino body with blower protuding out of the hood. Two 3x8 mm mounting screws (for bumper). One piece of double sided tape.